What is a demo account in forex trading ? A forex demo account is a trading account that gives traders free, unlimited access to a trading platform where you can learn or test new trading strategies under real market conditions, using virtual money. Here, traders can change their leverage, adjust or reset their starting balance or profit/loss at any time, and use different trade sizes to test their comfort level. Most top forex brokers allow traders to open a free demo account on their platforms, providing them a simulated experience of what it will be like trading forex on their platform. These pretend accounts usually contain most, if not all of the features and capabilities contained in a real account. This way, it allows newcomers in the market to learn how forex trading works and test their skills and processes with zero risks. It lets traders try out a new broker’s trading platform to see if it meets all their trading needs. It lets you try out all the features and other services a broker is offering. It allows traders to discover the role of technical and fundamental analysis in trading. Traders get to trade in real time and analyze the market using technical and fundamental indicators without risking their money. It allows traders to experience first hand the swift pace with which markets move and the significance of risk management. Allows traders to develop and adapt their trading strategy as the market evolves and fluctuates. HYCM forex brokers recognize the need for having a demo account to help beginner traders learn how to trade, and allow experienced ones to try out new strategies in a risk-free environment. The HCYM demo account is designed to closely imitate a real FX trading environment that is based on true market conditions. Traders get access to a HCYM demo account with $50000 virtual cash. This account is accessible by registering through the site and creating a demo account. Traders can run their demo account for as long as they want. 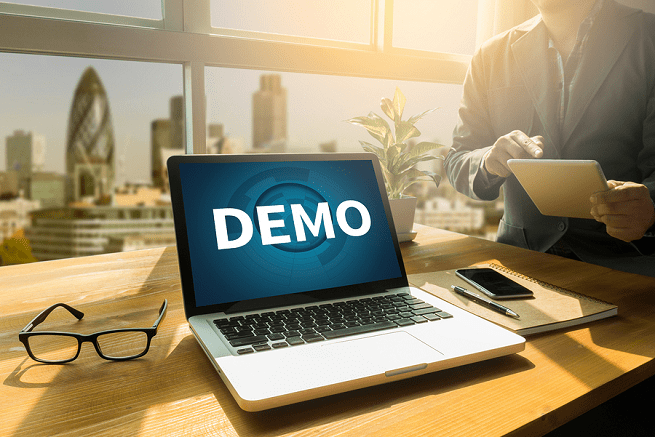 The FBS demo account is easy and convenient to open, All you need to do is submit your name and email address and your demo account will be ready in less than 2 minutes. This demo account allows new and experienced traders. The demo account is absolutely free with the deposit being created by the system. However, traders cannot take part in trading of the prize sum of no more than $1,000. This account also allows beginner traders to take part in a special FBS Pro Demo contest. InstaForex traders can now open a fully functional forex demo account on InstaForex using the MetaTrader 4 platform. The MetaTrader 4 is considered the most popular solution in the forex trading sphere. This platform offers its services on numerous currencies, features CFDs and US stocks CFDs and trades on gold and silver among others. To start trading on the InstaForex demo trading account, traders are expected to open a forex demo account, get an account number and password. They should then download the MetaTrader platform and log in to it using the provided data to start trading forex on the demo account. XM lets traders keep their demo account parallel to their trading account for an unlimited amount of time. Traders have the liberty to use their demo account to test new strategies and then us the most effective one on their real trading account. With XM traders can set up a demo account with just a few details and gain access to a virtual balance of $100,000. Their demo account is unique in that it offers the exact same features as the real thing. Also, there are no time limits as to how long you can use your demo account. OctaFX trading platforms offer traders a demo account that is a practice account, which is accessible to traders through a simple registration process. This account provides the same trading experience as their real accounts with the only difference being that the funds used to trade on this account are simulated. Traders don’t trade with real cash, ensuring that it is completely risk-free. Traders, whether new or experienced get accustomed to the range of features on the platform, and familiarize with the dynamics of currency trading markets before committing any real money. Forex.com offers new and experienced traders a free demo account where they can practice new trading strategies risk-free. The Forex.com demo account is a core element of their educational effort. It familiarizes newbie traders with tools and features of their platform and allows the testing of trading strategies in a risk-free environment using virtual funds. This account allows them to experience the unique benefits of trading on a MetaTrader 4, which is considered the most popular solution in the FX trading sphere, platform first hand. This demo account is limited to 30 days and offers traders $50,000 in virtual money. When trading forex, not everyone will understand how it works from the get-go. And, although some traders may understand the basics of how the currency pairs work and operate, there is no better way to put their knowledge to the test than through trading in a risk-free environment. Therefore, take advantage of these forex demo accounts to master your trading strategy. We highly advise traders to use these accounts until they develop a solid, profitable strategy before thinking about putting real money on the line.